We decided this morning it was the right thing to do to admit myself to the great Palliative Care service offered by the great hospital supporting me. Clearly things are getting a lot tougher and part of choice is the joy of continually taking them. Where to from here. May well follow the time honoured Palliative Care traditions and if it does, this goes to reinforce the value of choice is in the journey and not the end. Richard Di Natale’s bill is just so important for these reasons, as is my documentary, and the efforts by all dying with dignity organisations pushing for change throughout this country. Not sure when I will send the next blog. Happy Xmas Eve, I have had a lot happen in the last few days. Thank goodness the PM got to me in time, amazing how the political focus slips when life and death rear their head and toss it around like a black stallion with a long silky hair-main in a Meatloaf or Ferarri advert. Story goes a little like this………Sunday night woke up 3am with temp up too high, a bit delirious and very hard to breath with lots of pain in chest around coughs. Elizabeth managed me through this as I took a bit more morphine to enable me to breath and can’t remember much more than struggling with suffocation. At least I know now, how hard that is. Monday Morning we went to emergency and stayed all day. They did X-ray, bloods, CT scan and it was clearly pneumonia and oxygen in lung intake around 80. They want 90 and close to 100 normal. This all led to a discussion around the view was I should be admitted for 3-5 days and take a dose of intravenous stuff combined with with pills for 10 days to get on top of the pneumonia. The very clever ER doctor and mine however combined to decided going home was an even better and I could do so on their Hospital home service. Nurse daily to administer observations and intravenous top up and doctor at another point daily to talk, check and generally assist. Oncall for emergencies. Amazing service and why we should all be up for full health care insurance before buying booze and fags. I don’t smoke by the way! We then got to go home and I was home in bed at about 5pm Monday, very tired, a little unsure and somewhat apprehensive. Is this the start of Niagara falls? Monday night very difficult mix of coughing, pain, morphine and low level suffocation events. Morphine and staying calm gets things under control but the journey is scary and one that can only be managed by learning. Tuesday doctor and nurse came round. Did the bits we needed, discussed the difficulties of the prior night and learnt a bit more. Was a pretty long and tiring day and the first one for 5 years spent entirely in bed. This is certainly not a good thing to do from a physical or mental point of view, and to me feels like giving up. It also cause’s pneumonia phlegm to build up and become more problematic. This was evidenced by more coughing, lots of blood tainted flem, cleverly spat into a red bucket, well it is XMAS! and some short busts of nausea. The drugs to hit the pneumonia however kicked in over the day so last night though difficult, was better. Tonight fingers crossed I don’t spit blood at Santa, red suit…no! That brings us up to this morning. I awoke feeling pretty average but got up, and generally participated in a bit of normal activity, Jeremy filming bits, drop over of a few people for xmas cuppa, one all the way from New York who I have not seen for 15 mths, doctor and nurse came at different times but both found me up and about and I think I have dodged what was about to become a big constipation issue which is good. Morphine and codeine require a plan around constipation so go Movicol as a minumum. All this may be a bit graphic but the ideas is to let people know more so maybe it will help someone somewhere over the rainbow who knows Dorothea. Game from here and ? are. 4. How are Mitch and Elizabeth? Both huge support for me in my unit of 3, and they seem strong as a uint of 2. Both teams are in pretty good shape. Should put up a mean Xmas day srrum, I think thats a sports term that applies, let me know if I am wrong. Finally the Prime minister asked me about my pain score at 0/10 and assumed, as it is counter logical to the others, I must be in great pain. As of today pain is to be read as all the rest, 10 is fantastic and 0 is not good at all. Day 31/90: PM Tony Abbott rang me for a 30 min chat on Dying with Dignity, fascinating and helpful. Today I had what I feel was one of the most worthwhile chats to bring Choice at end of life for the terminally ill and intolerably suffering. The Prime Minister devoted a quality half hour to understanding my point of view, asking questions to further his knowledge, empathising with my personal circumstance and laying a few of his cards squarely and quite rightly on the table. So how do I do that conversation justice. I think points will be best. The real biggie for me was , The Prime Minister is happy to be quoted that I can be reassured that if Senator Di Natalie’s bill comes to the house it would be under terms of a free vote from his perspective. He feels the laws and current system offer great support but does recognise there are a lot of grey areas, yet he feels this may not be a bad thing. He believes law enforcement would not go out of their way to take action against someone who did exercise choice or assisted someone in those circumstances unless they were doing so in a sensationalistic way (he did say however it was his bush lawyer view). He has plans for a very busy 2015 taking the country forward on many fronts and at present DWD law change is not part of that agenda, unless public and parliamentarian opinion makes it so. He did say however that if there was a readiness to bring it on then it will come on. He sees some process parallels to this and the current Gay Marriage laws in terms of possibly numbers and process/support. He was interested in understanding what choice involved in terms of the drug, process and whether it was a drug used for other treatments. I think I added a bit to his knowledge base there. There was a lot more to the conversation and I feel that though the Prime Minister will never be an advocate for the Di Natalie bill he will not stand in the way of democratic processes to let it run its course. The big learning here Australia is we all as individuals need to get this issue onto every parliamentarians slate for it to be on the Prime Ministers. Fair enough I say. My job on this is still far from done but wow what a euphoric wheel to have turned. I close by saying I am invigourated by the Prime Ministers response, I found him with a great sense of humour, candour and even charisma that I have not seen on television. I am pleased having the Liberal free to vote position on this up front and centre. He felt this was always clear but somewhere I missed that as I think have most of the population, so great it is cleared up. Maybe it will be another brick in the wall of this legislative change as it should encourage discussion at many and varied tables. From here I can ease off the politics a bit at the Federal level and work on telling the story and the need for legislative change at a national level. I do think there is also a role to be played by me in the Dying with Dignity debate in Victoria, and goal of referral of the medical treatment act to the Victorian law reform commission. There is now a considerable shift of players in Victorian upper and lower houses. Some such a Fiona Patten and the Greens together with some other influential people in the major parties have this on their agenda. 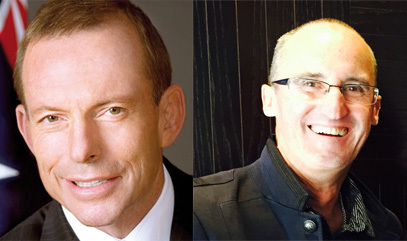 Effecting change here would simply compliment the desired goal of national legislative change under the Di Natale plan.